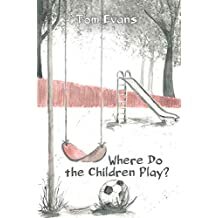 Title: Where Do The Children Play? Synopsis: A coming-of-age story of twin boys who finally get adopted after having lived in foster homes for most of their lives. While things are not perfect at their new home they are very grateful to have one. His brother Rory prefers to stick his head in the sand at all cost until a little boy’s drowning changes everything.